Accra, Nov. 22, GNA - Dr Kwame Addo-Kufuor, Minister of Defence, on Monday said the security services were sufficiently prepared to ensure a free and fair election in December. He said this time around the Military would only provide a standby force while the Police remained at the forefront. Speaking to newsmen at ceremony at which the Lebanese Embassy presented 50 computers to the Ghana Armed Forces at the Burma Camp, Dr Addo-Kufuor said the measures were to ensure that Ghanaians were allowed to decide who led the country for the next four years. "We want Civilians and the Police to do the bulk of the work while the soldiers were reserved", he said. He said he was optimistic that the elections would be free, fair and devoid of acts that would mar the entire process. 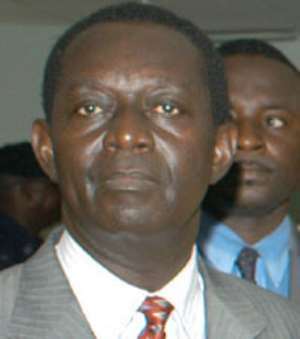 Dr Addo-Kufuor said the Military sought to boost computer literacy among soldiers to ensure efficiency at work as well as prepare the personnel for the job market after retirement. He said so far the Computer Centre at the Burma Camp with a capacity of 135 computers had received 100 computers through donations and expressed the hope that it would be fully equipped by 2005. Mr Jad El Hassan, Lebanese Ambassador to Ghana, who made the presentation, declined to disclose the cost of the computer but said the donation was to foster the continuous relationship that had existed between the two countries.